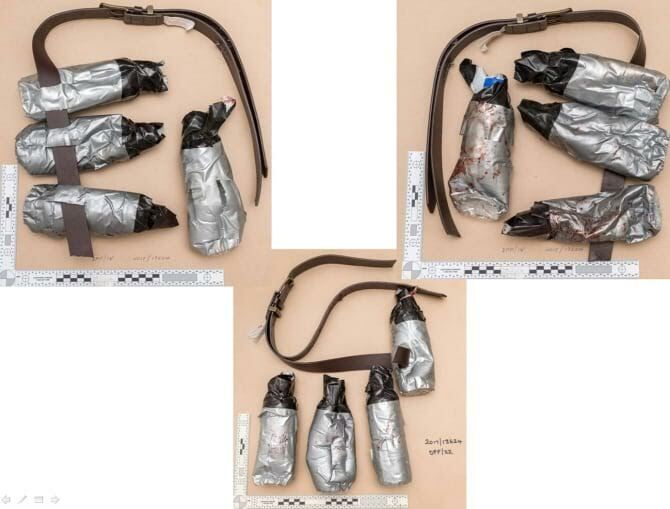 The Metropolitan Police on Sunday 11 June, released pictures of the fake explosive belts worn by the London Bridge attackers. 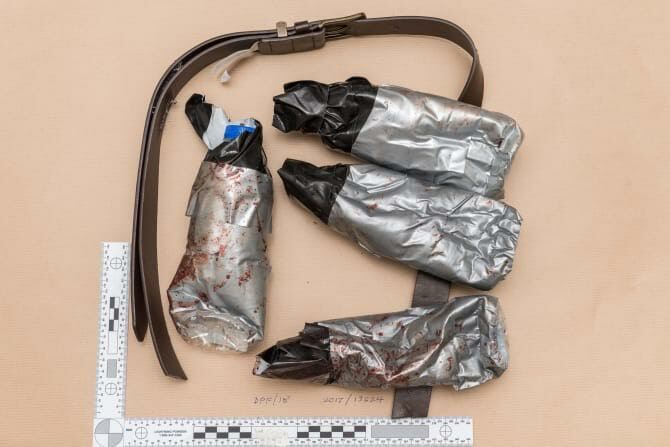 All three of the attackers wore the leather belts. 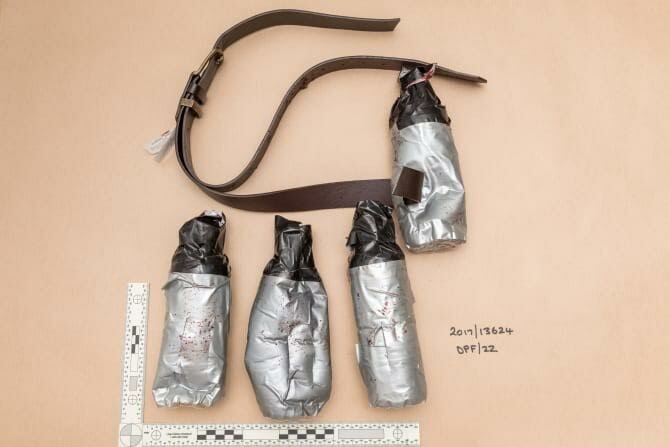 Each had three disposable water bottles covered in masking tape attached to the belt. “I have not seen this tactic in the UK before where terrorists create maximum fear by strapping fake explosives to themselves. “Anyone who saw them on the night would have thought they were genuine. 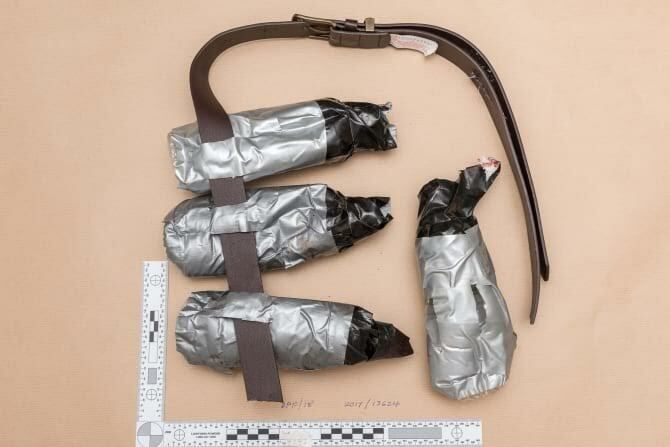 It is hard to speculate what the motive was for wearing the belts. It could be that they had plans to take the attack in to a siege situation or it might be that they saw it as protection from being shot themselves. Officers have so far spoken to 262 people from 19 different countries. Of these, 78 are significant witnesses. They believe there will be many others who witnessed the incidents who have yet to speak to police, and are asking them to come forward.